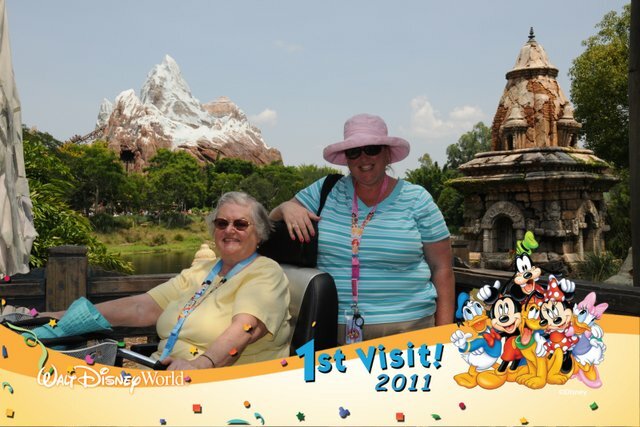 So we’ve all gone to Walt Disney World and done all of the E Ticket rides and attractions. We’ve thrilled to Space Mountain and Soarin. We’ve viewed all of the great Live Shows like Beauty and the Beast and Fantasmic. And we’ve eaten in all of the best places like Fulton’s Crab House and Boma. Yes, we’ve done all of the adult things. Nothing says ‘Hey, I’m a big kid’ like wearing a pair of Mickey ears in public! Or, if a baseball cap is more your thing, get one with a Disney character or saying on it. Guys might want to ask first! But the idea here is to get in on the fun of interacting with the Costumed Characters whenever possible. And don’t forget to get photographs for future blackmail opportunities. Who never grew up? Peter Pan, of course! So who better to help you find the child within. So climb aboard and learn about faith, trust, and Pixie Dust all over again! During one of our visits to the Magic Kingdom, my wife and I boarded a Hunny Pot and found that we were sharing it with another mature couple. When the Pot started to bounce up and down with Tigger, I yelled out: “Put your hands in the air!” Everyone did and we all laughed and had a great time! This is a no-brainer! You board a miniature Sports Car that is impossible to steer well and (accidentally) bump into other cars as you circumnavigate the track. I dare you to do this without an impish smile on your face! Who doesn’t like to laugh? And if you are one of the lucky few, you may find yourself on the Big Screen up front and on the proverbial spot! Make sure you act as silly as possible if this does happen to you. Remember: You’re a kid again! And it’s tough not to have fun as you see, hear, smell, and feel all of those creepy-crawly insects throughout the show! And the best thing of all: You get to scream like a little girl! To really get that youthful feeling, try to get in on the action of any of the Streetmosphere skits. For example, you may end up playing the Dating Game at DHS. Or you may become King Arthur at the UK Pavilion in EPCOT. Either way, you’ll have fun laughing at yourself! Of course, a lot of the Exhibits and Interactive Games in this section of EPCOT are geared for the kiddies, but that’s the point! Revisiting the time in your life when exploration was King is bound to take off a year or two. And the Number 1 way to feel like a kid again while visiting Walt Disney World is – YOU TELL ME! We all remember something different about our childhoods. So what fond memories do you have of the time in your life when your parents did everything for you, and all you had to do was have fun? Chances are that Walt Disney thought of it and included it in some aspect of his Parks! So lighten up and get out there and make a fool of yourself! I highly recommend it. Welcome, my friends, to #Day26 in our #DisneyWorldCountdown! Today we are looking at the roller coaster that was, until we went to California Adventure last year, my wife’s favorite roller coaster — Expedition Everest! As it stands, EE has been replaced at the #1 spot by California Screamin’, but Expedition Everest is still #2 in Cindy’s book, and that’s pretty high praise! Do you dare to tackle the Yeti? For the bravest of the brave, this is a chance to see that Yeti, a chance to face your deepest fears — and a chance to live to tell the story afterwards! Do you dare? Are you brave enough — some would say crazy enough — to try and tame that savage beast? Looks like the Yeti has scared some more thrill-seekers! 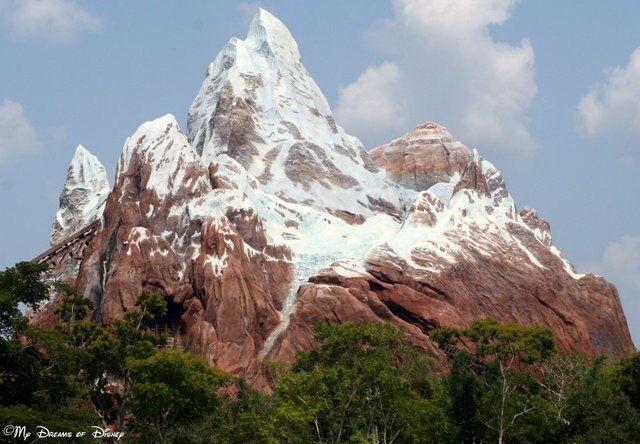 With a whimsical look at Expedition Everest, I’m your My Dreams of Disney writer Mike, wishing you a great day full of Disney fun! 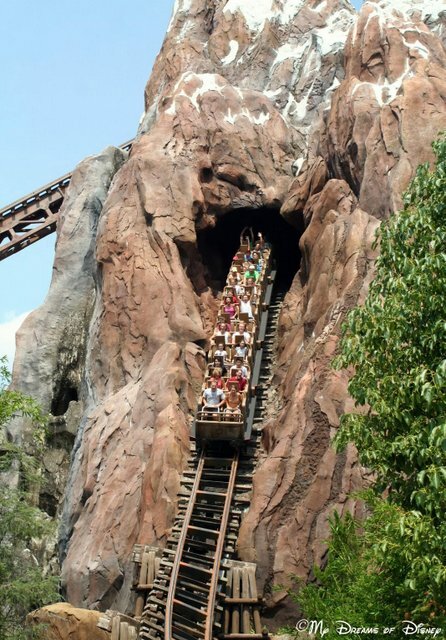 Do you ride Expedition Everest, or do you skip it? Let me know in the comments, please, and thanks for stopping by today!